This week, Your News to Know rounds up the latest news involving gold and the overall economy. Stories include: Turkey’s currency crisis is breathing new life into gold, pension crisis could be good for gold, and why gold is not in a bear market. 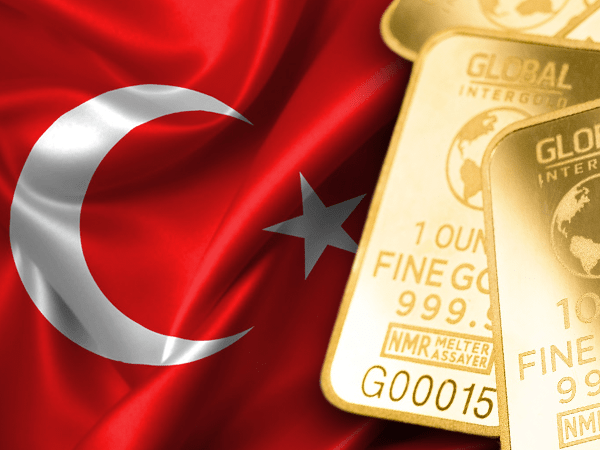 According to numerous analysts, Turkey’s currency crisis could be the source of positive price action in the gold market, reports Kitco. On Friday, President Trump announced that Turkey, a major exporter of industrial metals, would have to pay additional levies for its steel and aluminum exports to the U.S. The news, along with Turkish president Erdogan’s refusal to approve central bank rate hikes, caused the lira to plunge to an all-time low against the dollar. With three major European banks significantly exposed to Turkey, and the country acting as host to millions of refugees, it remains to be seen how severely a financial crisis would affect the rest of the eurozone. Gold gained 1% against the euro following the news, showing that investors were quick to worry about the possible ramifications that a crisis could have on surrounding countries. Other analysts supported the idea that gold could soon see price gains. Bill Baruch, president of Blue Line Futures, said that gold’s current prices warrant a fixed buying position. Chantelle Schieven, head of research at Murenbeeld & Co, added that the metal likely won’t approach last year’s lows and could instead bounce towards the end of the year as the Fed slows its course. Market watchers will be keeping an eye on next week’s news, as a number of U.S. economic reports being released in that frame could serve as additional catalysts for gold’s rebound. A recent article on Seeking Alpha examined a persistent problem with the Federal budget that, despite its great impact, has thus far been largely overlooked by the media. Warnings that a pension crisis is imminent have fallen on deaf ears for some time, even as the pension deficit continues to swell. While the exact numbers aren’t known, it’s estimated that state funds require an additional $3 trillion to make good on pension promises to their employees, with city funds needing a further $400 billion. Even more alarming is the knowledge that these figures will only continue to inflate until the government comes up with a solution. The article lists three available solutions, each of them being beneficial to gold. The first, and the most commonly expected, would involve the Federal government covering the $3 trillion of pension costs. The bail-out would be achieved either by borrowing the amount, which would be difficult given the government’s expanding budget deficit, or printing the money, which would lead to inflation and crumble the dollar. The second option is to reduce general spending in order to redirect the surplus money towards pensions. In this scenario, state programs such as welfare, Medicaid and the like could significantly shrink until the pension situation is resolved, potentially leading to civil unrest. The third option would be to cut pension benefits retroactively and reduce payments to retirees. Few politicians would want to consider this option, and many state constitutions specifically forbid this practice. Furthermore, a clampdown on pensions would increase welfare claims and lead to civil suits, acting as another source of budget concerns. According to the article, any one of these options could bring forth significantly higher gold prices, whether due to inflation, chaos or uncertainty. However, since it’s unclear when and how the Federal government will address the pension deficit, the optimal way to benefit from the situation is to hold onto gold for the foreseeable future. In a report published last week, ScotiaMocatta’s analysts said that gold isn’t in a bear market and has instead been caught in a sell-off. According to Kitco, to truly enter a bear market, gold would have to fall below $1,100 an ounce, a far cry from current valuations. Despite an influx of concerning news from around the globe, gold still hasn’t capitalized on increased wariness by investors. This could change, said the bank, as the recent U.S. sanctions on Iran begin to take their toll. The first round of sanctions, which stem from the nation’s ongoing nuclear program, has targeted Iran’s currency, metals trade and the automotive sector. In a post on Twitter, President Trump asserted that November’s follow-up will be even harsher. ScotiaMocatta’s analysts believe that Iran could begin accepting gold as a means of payment for its oil exports in order to avoid rial-denominated sanctions, which could potentially boost the metal’s price. The White House’s goal to restrict the nation’s oil exports globally could destabilize the oil market and lead to a pick-up in safe-haven demand across the board. “If oil exports fall oil prices could be lifted, thereby adding to inflationary pressures just as US tariffs against other trading partners could also be inflationary. Likewise, the whole US trade war, combined with possibly sharply higher oil prices, could lead to more fall-out in other financial markets, prompting a pick-up in risk-off and more demand for safe-havens,” said the report.